This soft, pastel wedding photograph highlights one of the unique reception centerpieces at this Calamigos Ranch wedding. 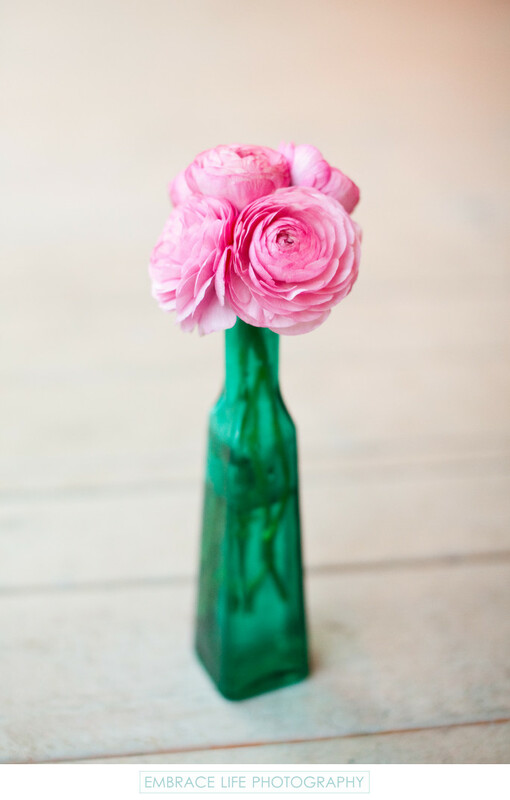 The Malibu wedding venue's rustic wooden deck is the perfect stage for the tapered teal glass vase holding a cluster of pink ranunculus. This bride and groom chose to decorate their wedding reception with a variety of uniquely shaped and colored glass vases full of their favorite flowers.